The debate between cat lovers and bird lovers is not a new one and steeped with passion on both sides. The debate usually ends in a stalemate: cats kill birds but it’s not the cat’s fault – it’s their nature. Rarely does the discussion deviate from these two fundamental issues. But, the problems are much broader than just the fact that cats kill birds. There are four compelling reasons to keep all cats indoors. It’s dangerous for cats to be outside. Outdoor cats cause harm to the environment. Outdoor cats cause harm to the economy. Outdoor cats cause harm to human health. Indoor cats are great companion animals giving pleasure to their owners. Outdoor cats – domestic and feral, are exposed to numerous threats such as cars, fleas, poison, rabies, owls, coyotes, and mean people. The Humane Society and PETA (People for the Ethical Treatment of Animals), as well as every wildlife conservation organization I am familiar with, recommend all cats be indoor cats – it’s for their own good. I have seen cats kill many birds. Years ago, when I lived in a small city I built a bird sanctuary in our backyard. It had shrubs, flowers and a pond with a waterfall. It attracted many birds…and my neighbor’s cat. I saw that cat capture and kill a Golden-winged Warbler, a very rare and beautiful bird. That experience was an epiphany. For the first time, I saw the cat as the non-native killer it is. It made me gnash my teeth with anger. What right did my neighbor have to allow her cat to roam free into my space and kill birds? 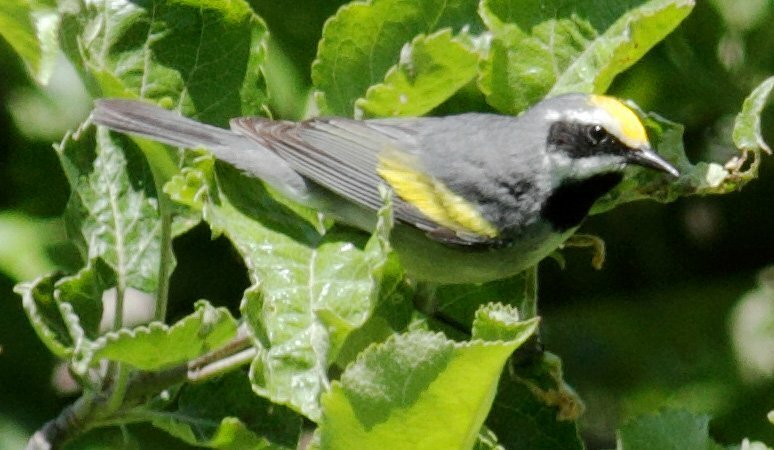 Golden-winged Warbler. Photo by my birding friend Marshall Faintich. Copyrighted. Outside, cats are the most destructive, non-native, mammal in North America. 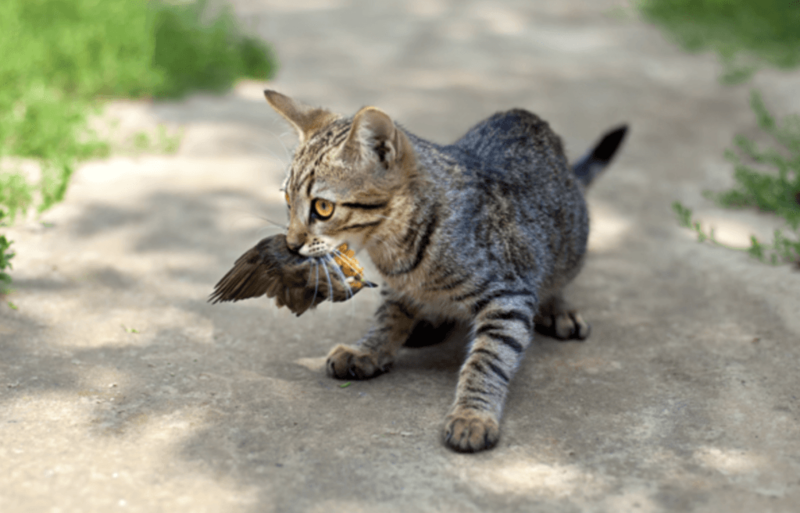 There are numerous scientific studies that prove beyond a shadow of a doubt that cats kill birds, mammals, reptiles and many other small animals even when they are not hungry. Cats are the number one killer of birds in the US causing 1.3 to 4 billion deaths per year, according to scientists at the Smithsonian Migratory Bird Center. Domestic cats are responsible for the extinction of more than sixty species worldwide including thirty-three species birds such as the Chatham rail. 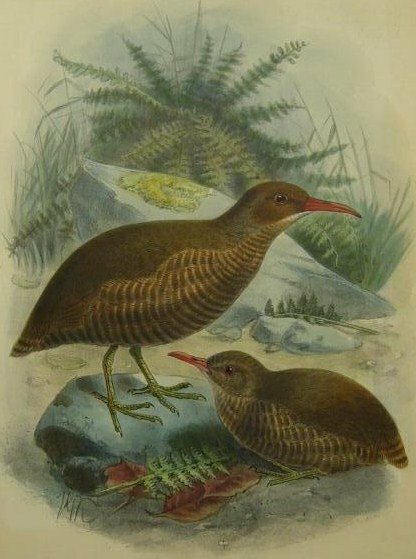 The Chatham rail, an endemic bird of New Zealand is extinct due to the introduction of cats to the island. 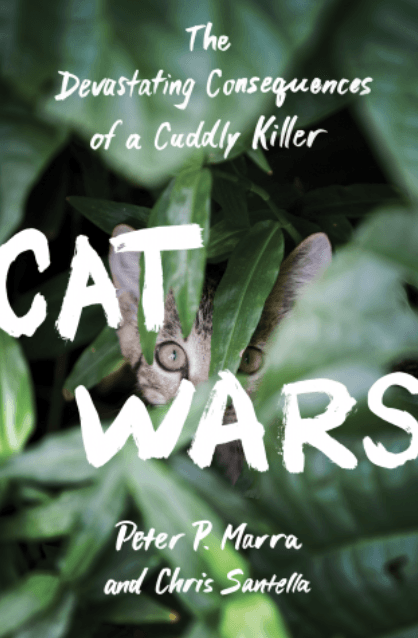 Peter Marra, Director of the Smithsonian Migratory Bird Center and Chris Santella wrote a book about this issue titled Cat Wars, the Devastating Consequences of a Cuddly Killer. Click here to buy this book published by Princeton University. It is a comprehensive and scientific analysis of why all cats must be indoor cats. I highly recommend this book. Cats kill birds. A recent study concluded that cats kill between 1.3 and 4 billion birds per year in the US. Internet photo. Americans spent around $2.4 million on animal welfare programs in 2007 according to one study by the Humane Society. Of course, that is not all for cats but at least a significant portion of it is for cat shelters, euthanasia, trap, neuter and release programs etc. 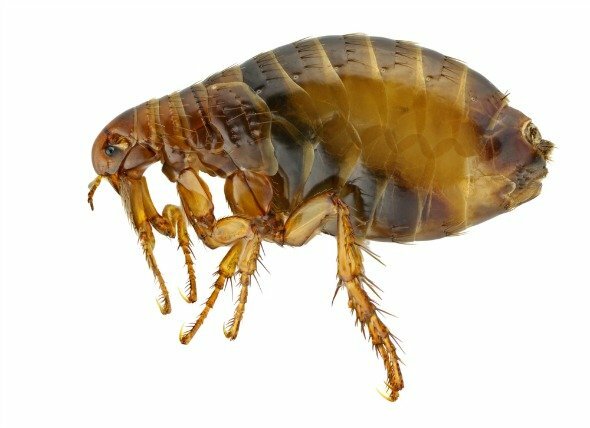 Has your house ever been infested with fleas? Americans spend over $9 billion per year on flea control and flea eradication efforts. Outdoor cats are likely to bring fleas and their eggs into your house. Fleas can easily infest outdoor cats and bring them indoors. Fleas can transmit tapeworms and cat scratch fever to humans. Internet photo from VetMD. Up to sixty percent of all outdoor cats are infected with a protozoan that causes Toxoplasmosis. If an infected “barn” cat defecates on the feed for sheep and goats it is likely to infect a pregnant ewe or nanny. If so, it is likely they will abort their baby. Toxoplasmosis is one of the leading causes of abortion in the US sheep industry. American taxpayers spend millions on habitat establishment for threatened, endangered and declining species such as the Northern Bobwhite and the Piping Plover. These two ground-nesting birds are heavily preyed upon by mammalian predators. Outdoor cats are on the short list of culprits. We spend millions to protect birds yet allow cat lovers to shelter and feed feral cats that kill them on public land. The American Bird Conservancy v. Rose Harvey is one such case that went to federal court. Cats Cause Harm to Human Health. There are many diseases that can be transmitted from cats to humans. Elderly, pregnant, and immunosuppressed individuals, as well as infants, are all susceptible to the following diseases: cat scratch fever, Pasteurella multocita, salmonella, scabies, internal parasites including roundworms and hookworms, ringworm, cryptosporidiosis, giardia, rabies, toxoplasmosis and ailments caused by flea bites, including bubonic plague. Cats are the fourth most common species testing positive for rabies thus far in 2017 by the Virginia Department of Health (raccoons were first, skunks then foxes). 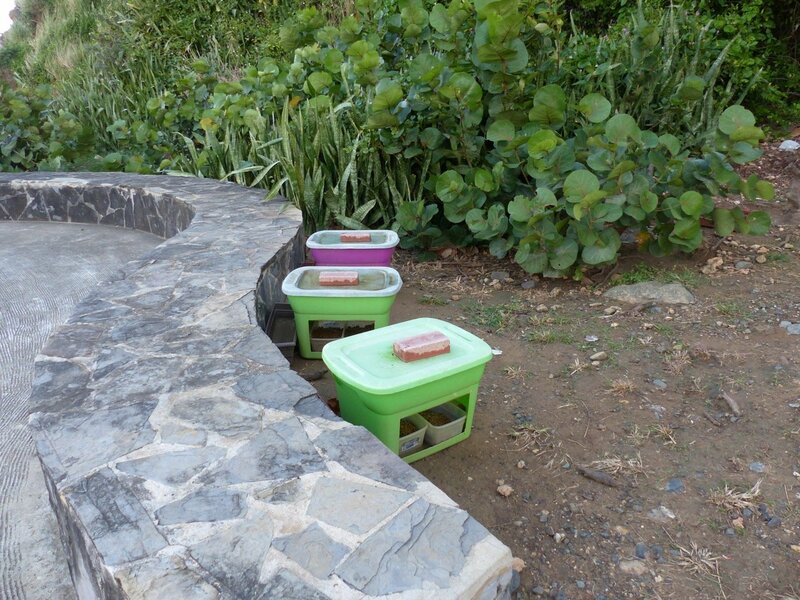 Outdoor feeding stations for cats are magnets for wild animals such as raccoons, opossums, and skunks that often transmit rabies to cats via their saliva or bites. Toxoplasmosis is also known as “crazy cat lady syndrome.” Susceptible humans, like the elderly who have many cats, can ingest the Toxoplasma gondii protozoa from the litter box or contaminated soil. Symptoms include fatigue, fever, aches, and pains lasting more than a month, seizures, confusion, and ocular ailments including redness of the eyes, reduced vision, pain, blurred vision, inflammation of the retina and tearing. There are between 35 and 75 million feral cats in the US causing environmental, economic harm and harm to human health. Feral Cats Are the Biggest Problem. It’s not difficult for pet owners to keep their cats indoors. The bigger problem is the population of feral cats. How does society deal with other feral animals such as pigs, pythons, or goats on the Galapagos Islands? They eradicate them. Cats are different because they are companion animals. 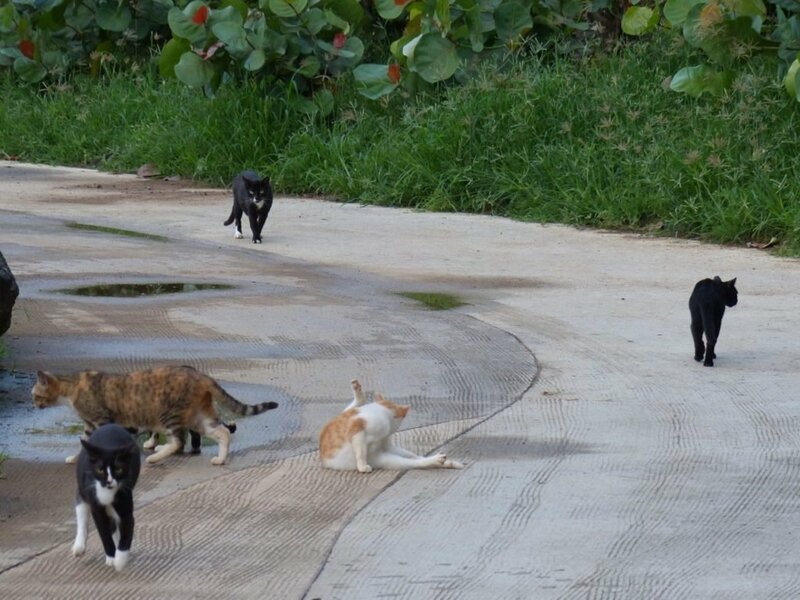 But if the feral cat problem is not addressed their populations will continue to increase as well as all the problems associated with them. The answer is clear…gather the feral cats, neuter the feral cats and place them in shelters and homes. Trap, neuter, and release programs do not work. The only answer is a trap, neuter, and shelter program. Any organism not found naturally occurring in the ecosystem under consideration and causes or is likely to cause environmental or economic harm or causes or is likely to cause harm to human health. The domestic cat, Felis catus is not native to North America. It originated in the Middle East. The domestic cat meets every aspect of this definition and is the most destructive, non-native, mammal in North America. The post Four Compelling Reasons Cats Need to be Indoors appeared first on Getting More on the Ground.